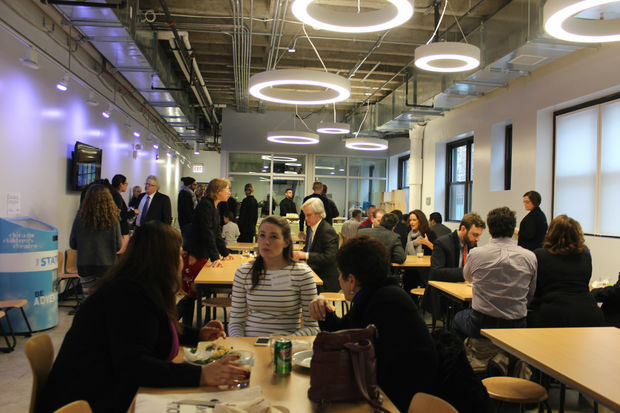 West Loop and Chicago Children's Theatre leaders officially opened the theater's new home "The Station" at 100 S. Racine Ave. with a ribbon cutting Tuesday. 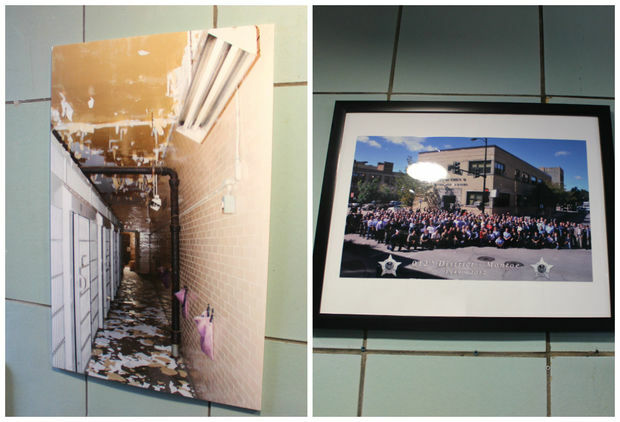 WEST LOOP — What was once a neighborhood police station is now a place that "amplifies hope" for kids. City leaders, including Chicago's First Lady Amy Rule and Ald. 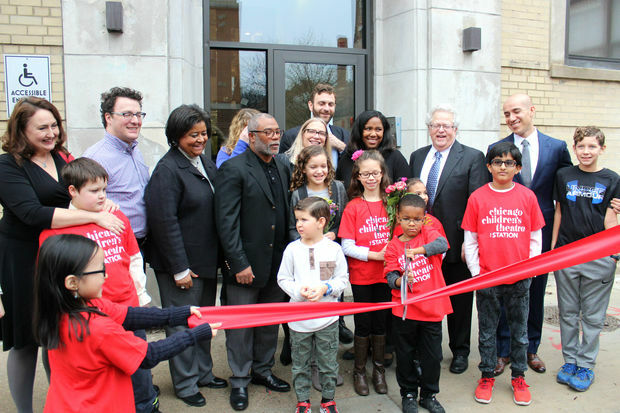 Walter Burnett Jr. (27th) joined arts advocates to officially open "The Station," the Chicago Children's Theatre's new home at 100 S. Racine Ave., in the West Loop Tuesday. 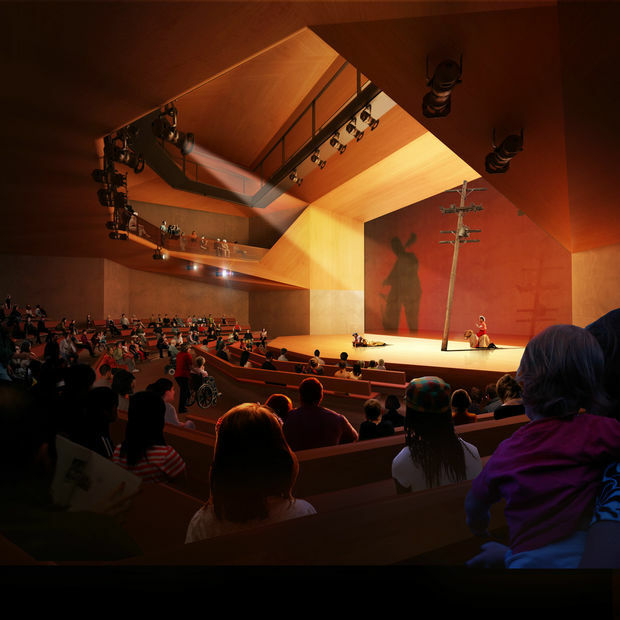 Frank Maugeri, community programs artistic director at Chicago Children's Theatre, remembered when he first heard theater founders wanted to turn the former police station into a creative home for Chicago's children. "I almost immediately thought, 'I'm in,' mostly because that message is absolutely undeniable," Maugeri said. "To take a place that was once about literally imprisoning ideas and expression and turning it into the exact opposite is such a powerful statement for young children." Maugeri said the building's transformation — from cop shop to a place that fosters creativity in kids — is a "story of redemption." 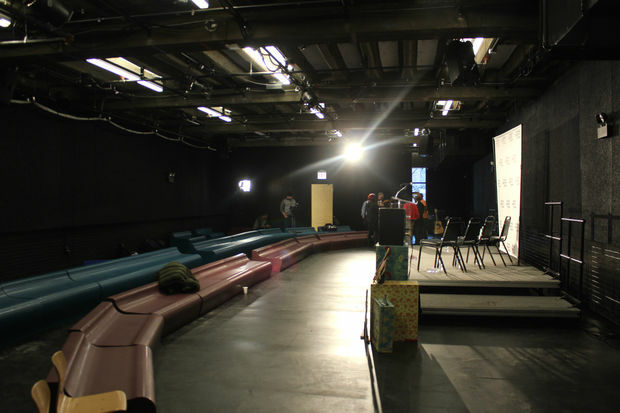 During the first phase of renovations, crews have added five classrooms, a dedicated, year-round space for Red Kite interactive theater for students with autism, a lobby with box office and concessions, the flexible, 149-seat Pritzker Family Studio Theatre and support space in the building. The Pritzker theater was built in an old cell block and the "Red Kite" theater was built in the judge's former chambers in the old police station. 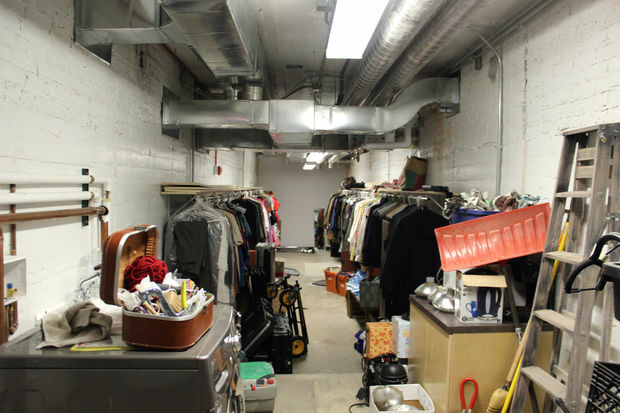 An old shooting range in the former police station now houses Chicago Children's Theatre costumes and props. Ald. Walter Burnett Jr. (27th) said there was some "rub" in the West Loop because there was so much interest to redevelop the former police station. "Everyone wanted this building. From developers, the residents wanted a park facility, Skinner School wanted another building to expand," Burnett remembered. At the time, both the Mayor's office and Governor's office urged him to support the children's theater use. After meeting with Jacqueline Russell, theater co-founder and artistic director, Burnett said he knew the theater was the right fit for the space. "At that time, I knew I was going to go with it no matter what," Burnett said. "They just really have gotten involved in this neighborhood and become part of this family. Russell said the new West Loop headquarters would give the children's theater a real home for the first time. The theater works with more than 100 Chicago schools, and has a special commitment to serving children on the autism spectrum, she said. "The Station gives us new freedom to work with exciting, internationally-recognized companies like Manual Cinema, who are producing inventive, intimate new works like Magic City, which will resonate with audiences of any age," she said. 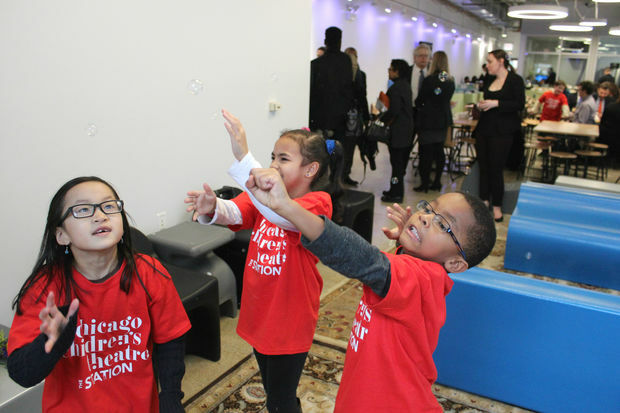 On Feb. 6 at The Station, the Chicago Children's Theatre will launch classes and camps for kids up to 14.